Building a custom/self-build house, means that you get to choose the layout to suit your family and the way you live. If you want the living room upstairs you can. If you want a big bedroom you can. You design the house, rather than living with someone else’s design choices. You get to choose the way your house looks, as long as you stick to the very flexible Design Code, you have a wide choice of materials. By having your house built you can watch each step of the way, to ensure that the house is built to far better standards than many modern houses. Have great fun working with your architect to design the house of your dreams. You can even download some very cheap software to start playing around with designs yourselves, before you even engage an architect. Think about your design for a few days, imagine living in it - then give it a tweak, try some new layouts - you’ll probably amaze yourselves. Make Google your friend - look at other people’s designs, plans, layouts. Drive around, what catches your eye? What’s nice? What do you hate? What’s a must have? Building your own home can save you a small fortune on an equivalent house designed and built by someone else. AND it’s your house. Speak to Custom Build Homes and learn about the process, it’s not what you see on TV! When Karen and Kevin Keable tried to build their own house on land at the rear of their country home in Bracon Ash, near Mulbarton, south of Norwich, they got a bit of a surprise. Property editor Caroline Culot went to interview them to find out more. Yes, the couple were advised, you can build your dream home but you could build 14 more too! 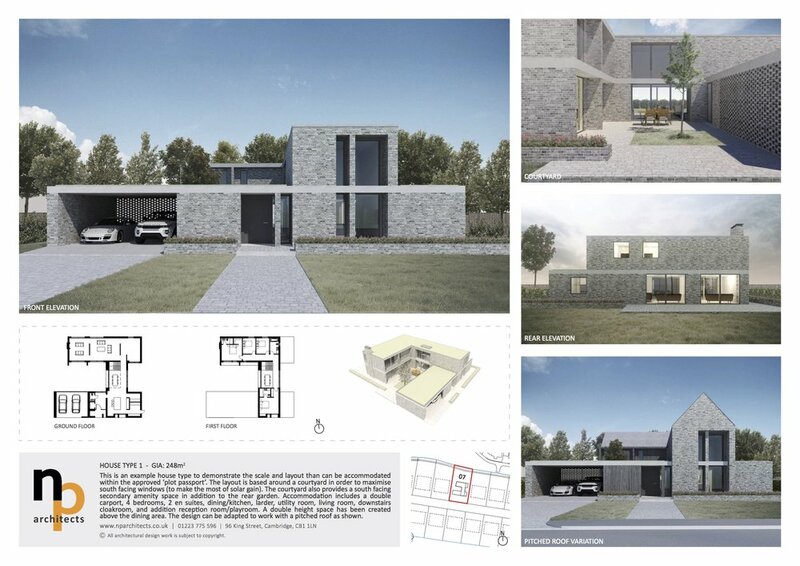 It just wasn’t considered likely that the couple, who live in Bracon Lodge, would get planning permission to build just one new home on the five acre site - but should try to get planning permission for 15 self build plots which was rather more than they’d originally intended. “However, once we realised what was possible, we became more excited about the fact that we would be enabling other self-builders and could build a small community, which is already showing signs of developing,” said Mrs Keable, 52, an artist. So, rather than be deterred and see their dream of building a home from scratch ruined, the couple decided to go ahead with the project. Two years on, and about £100,000 spent, Long Four Acres, a ‘vibrant community within a leafy countryside setting’ has only five plots left for sale priced from £255,000. “Unlike some developers, we have a vested interest in making this work because we want to live there ourselves, we want it to be beautiful,” said Mrs Keable. “We always wanted to build our own home but the problem was finding somewhere as lovely to live as we do already,” said Mr Keable, 55, who worked in the oil business but is now co-owner of Long Four Acres Limited, the company they set up to create this development. Despite its name, Long Four Acres is actually a five acre field separated by another field from the Keables’ period home on the edge of Bracon Ash in south Norfolk, which they eventually plan to sell. The couple bought the land with Bracon Lodge nine years ago and never had any use for it, until now.